Pilates Union® operates as an independent organisation committed to providing quality support and personal development for Pilates instructors. Strive for excellence in teaching, simultaneously providing a personal and individualised support network to cater for the needs of the global Pilates community. Our organisation has been created to serve and promote the business interests of Pilates teachers regardless of their background or affiliation. We encourage and promote independence, open mindedness and tolerance; which gives rise to creative expression and exploration into new ways of interpreting, practicing and teaching the Pilates method. We aim to provide practitioners with comprehensive resources and independent services and products to enable them to impart their skills and knowledge in a confident and distinctive manner. Our vision is to see Pilates Union® become the central hub for Pilates knowledge amongst teachers, right across the globe. Our intention is to create an umbrella organisation that ties the Pilates community together so that instructors may have a platform for the exchange of ideas and have a voice and presence within the industry. Allan Menezes was born and finished his schooling in Harare, Zimbabwe. Allan first discovered Pilates in London in 1982 while completing his thesis for his Masters. He loved what pilates was able to achieve for his back pain and requested to become an instructor and was accepted. In 1986 Menezes established the first Pilates studio in the southern hemisphere with the Body Control Pilates Studios in Sydney, Australia, using his Athletic Pilates(tm) System. 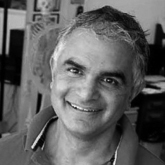 In 1996 Allan founded the Pilates Institute of Australia. This was established to cater for the growing demand for quality training and to provide accredited workshops and courses in the Pilates Method. 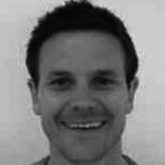 Robert has a Masters degree in Physiotherapy, a degree in Sports Science and is a Body Control Pilates teacher. With over ten years experience of working in Sport, Robert is a clinical specialist physiotherapist in spinal and lower limb pathology and practices from Body 2 Fit‘s purpose built clinic in the Northeast of England, treating a variety of clients from those with acute injuries to elite athletes looking to enhance physical performance. However, it’s not just his academic qualifications that fuel his interest in Pilates. Through his sporting pursuits over the years Robert has suffered several injuries, (including a lumbar disc protrusion) and believes his personal experience of practicing Pilates to recover from injury helps him with understanding and managing his clients... possibly even MORE than his academic qualifications! Originally from Salt Lake City, Utah, Tisha studied Politics and Economics for her BA at The American University in Washington D.C. She came to the UK in 1995. Already qualified as a Fitness Instructor Tisha began to work in London as a Freelance Instructor, Studio Co-ordinator and National Presenter on the UK fitness circuit. Tisha studied with the Pilates Foundation under Dominique Jansen and Sian Williams at Pilates Off the Square in 1997. She completed the comprehensive training and became a full member of the Pilates Foundation in 1999. It was also in 1999 that Tisha was invited to set up and run the Pilates studio and matwork programme at Triyoga in Primrose Hill. Eventually she left to set up her own studio in 2002, Kings Cross Studios, which she continues to run today with a wonderful team of teachers, workshop and course presenters. Tisha currently sits on the Pilates Foundation Board of Directors. She is a qualified Gyrotonic and Gyrokinesis Teacher Pre-trainer and completed her City and Guilds Teaching in the Lifelong Learning Sector course in 2008. She lives in North London with her partner Wayne, son Whittaker and Cosmo the Wonderdog. 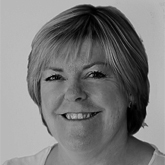 Founder of Pilates Union®, Emma Newham, originally qualified as a Pilates teacher in 1997, having already been in the exercise industry as a personal trainer. Having spent many years teaching Pilates, Emma moved onto Pilates Teacher Training. Her Pilates courses are externally verified and accredited by CYQ (Central YMCA qualifications), Skills Active and The Register of Exercise Professionals (REPs). 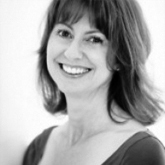 She is author to 8 published Pilates Training Manuals and several Pilates DVD's. Emma wanted to set up an organisation that qualified teachers could be part of in order to develop their client base, promote their business opportunities, share ideas and to further develop their careers within this industry. She therefore decided to form a new company to cater for the needs of the growing number of Pilates instructors so that they may have a voice and a presence within this industry. After much research as well as speaking to Pilates teachers from different organisations, Emma decided to form Pilates Union®, which is dedicated to providing support and ongoing training embedded in the principles of Pilates but offering innovative and imaginative approaches which will have a very positive and direct impact on teaching. Already having her own thriving Personal Training fitness consultancy in London, Emma became inundated with clients when she qualified in Pilates in 1997. She set up the first Pilates course for back problems at the Royal National Orthopedic Hospital in London for their Consultant Surgeons patients. In 2001 Emma opened the first, fully equipped Pilates studio in the North East, MyBody Studios. Yoga was always a keen interest for Emma and she traveled to the Himalayas in India to undertake her yoga teacher training at the Sivananda ashram. She has since traveled to Mysore, Southern India, to train with the international guru, Patabi Jois, specialising in Ashtanga yoga. More famous, modern yogis whom Emma has studied under are the renowned anatomist, Paul Grilley and Ashtanga yogi, John Scott. Emma teaches a blend of Ashtanga and Hatha yoga. Emma is also qualified to teach Gyrotonic® and Gyrokinesis®. As well as being a fully qualified Personal Trainer with London Central YMCA, Emma is qualified as a Phase 4 Cardiac Rehabilitation instructor with the British Association of Cardiac Rehabilitation. Emma has lectured Physiotherapists in Cardiac Rehab and the Pilates method and taught in NHS hospitals as well as private Bupa hospitals in London. Emma is also a qualified assessor for the Pilates method. She has a wealth of experience in the media, having hosted her own live weekly fitness slot on London radio. She had her own fitness column in the Gazette and has had articles published in fitness magazines and appeared in The Guardian, The Times and The Sun newspapers. Emma has taught international athletes including premiership footballers, cricketers and dancers and worked extensively in Ireland with leading dressage riders and horse trainers. She has taught in Australia, India and Europe. Emma now writes Teacher Training courses and her range of Pilates training manuals and DVD's are available to buy on the Pilates Union website.